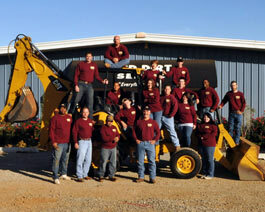 Storm shelters and installation services are provided by Red Dirt Septic. We are a locally owned full service septic and storm shelter company serving residential and commercial customers in Central Oklahoma since 2006. 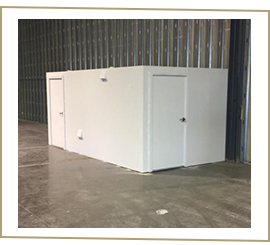 Our showrooms in Edmond and Tuttle offer customers the opportunity to examine the value of our shelters and safe rooms prior to making a purchase. 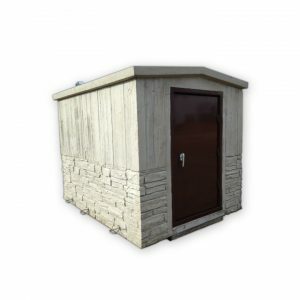 With several shelters installed on our premises, you can select the style and size dimensions to meet your specific needs. With more than 45 employees and thousands of septic and storm shelter installations, our experienced crews know how to properly install and believe in treating every customers property as it it were their own. 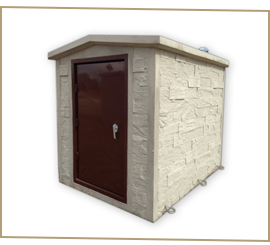 We sell and install storm shelters in Oklahoma City, Norman, Moore, Edmond, and the surrounding areas. 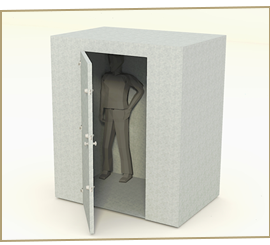 A storm shelter or storm cellar is a type of underground bunker designed to protect the occupants from violent severe weather, particularly tornadoes. They are most frequently seen in the Midwest (“Tornado Alley“) and Southeast United States where tornadoes are generally frequent and the low water table permits underground structures. An average storm cellar for a single family is built close enough to the home to allow instant access in an emergency, but not so close that the house could tumble on the door during a storm, trapping the occupants inside. This is also the reason the main door on most storm cellars is mounted at an angle rather than perpendicular with the ground. An angled door allows for debris to blow up and over the door, or sand to slide off, without blocking it, and the angle also reduces the force necessary to open the door if rubble has piled up on top. Floor area is generally around eight by twelve feet (2.5 × 3.5 m), with an arched roof like that of a Quonset hut, but entirely underground. In most cases the entire structure is built of blocks faced with cement and rebar through the bricks for protection from the storm. Doing so makes it nearly impossible for the bricks to collapse. New ones are sometimes made of septic tanks that have been modified with a steel door and vents. 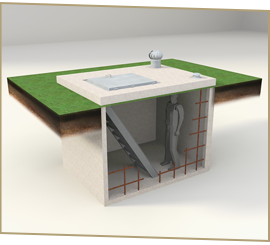 Fully enclosed underground storm shelters offer superior tornado protection to that of a traditional basement or cellar because they provide separate overhead cover without the risk of occupants being trapped or killed by collapsing rubble from above. For this reason they also provide the only reliable form of shelter against “violent” (EF4 and EF5 tornadoes) which tend to rip the house from its foundation, removing the overhead cover which was protecting the occupant. There are several different styles of storm cellars. 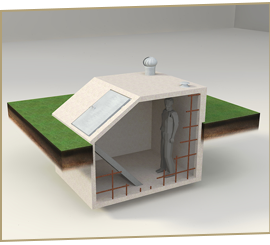 There are the generic underground storm/tornado cellar, also called storm or tornado shelters, as well as the new above-ground safe rooms. 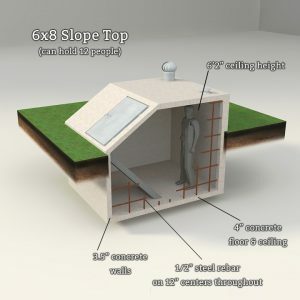 A “cellar” is an underground unit, but for the sake of the specified use of a “storm cellar” to protect one from high-wind storms, it seems relevant to mention saferooms. 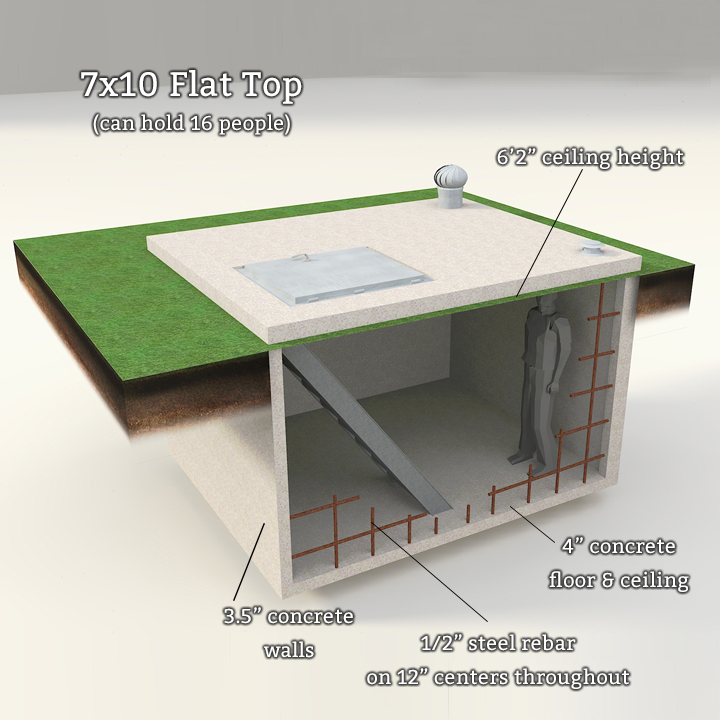 There are two basic styles of underground storm cellars. One is the “hillside” or “embankment” and the other is the “flat” ground.